$300 - $100 discount when purchased with an adult ski. 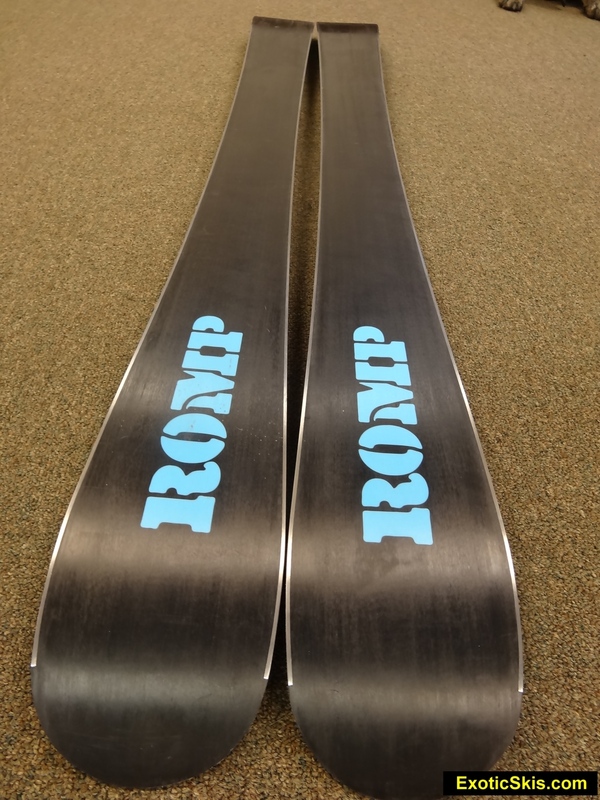 Caleb Weinberg at ROMP custom skis wants to give kids the same relative geometry and flex performance of the adult skis...just scaled down for little people and their respective weight, strength and leverage. 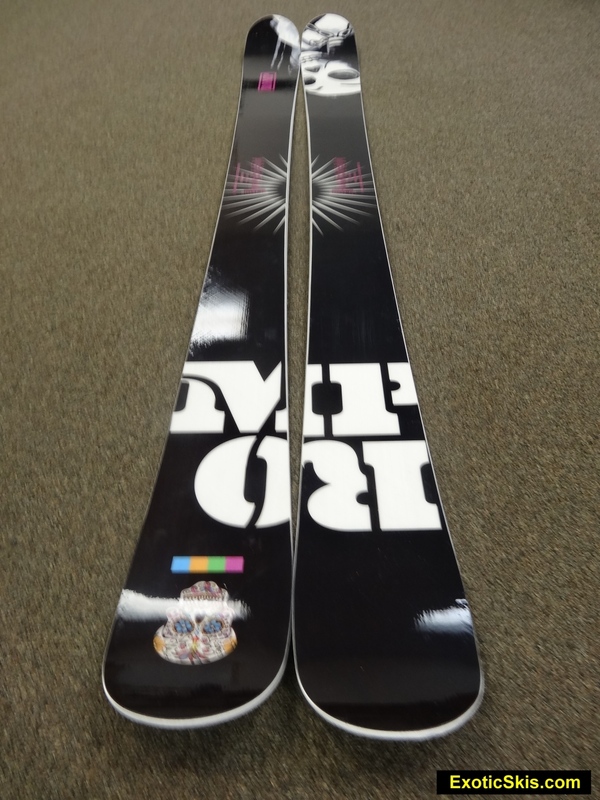 ROMP takes the same care in building thei kid series of skis as their adult custom skis. 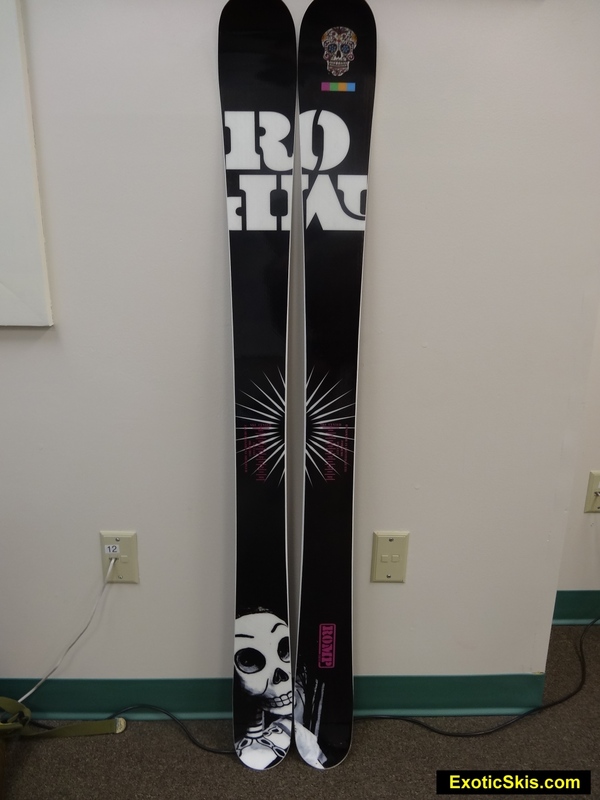 We have been riding their 100 adult ski for several seasons now, and it is bulletproof and holds its performance level at like-new levels...so we have a long-term reference about ROMP's ski quality and we give it a big thumbs-up....so the kid skis should be likewise durable and high-performance for several seasons of hard use. 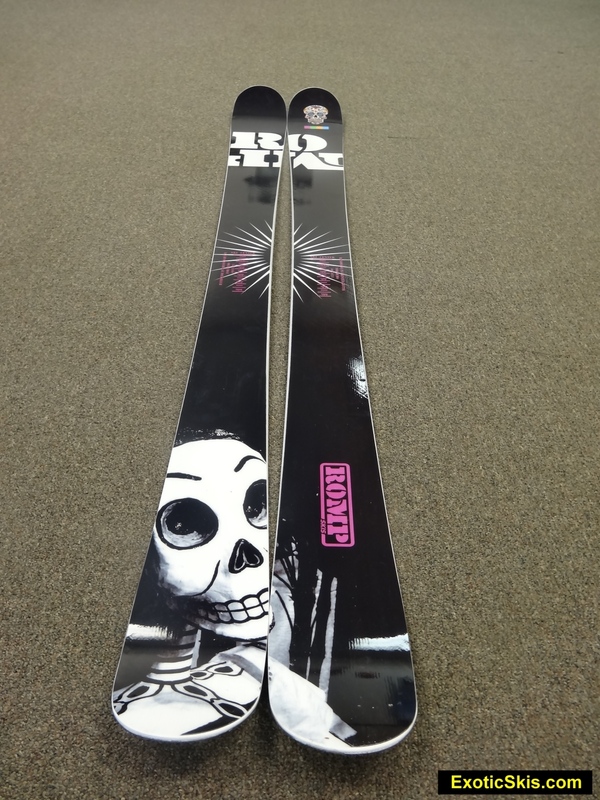 "We designed Romp Kids skis for kids who rip! Small enough for kids and designed with all the features of an adult ski. 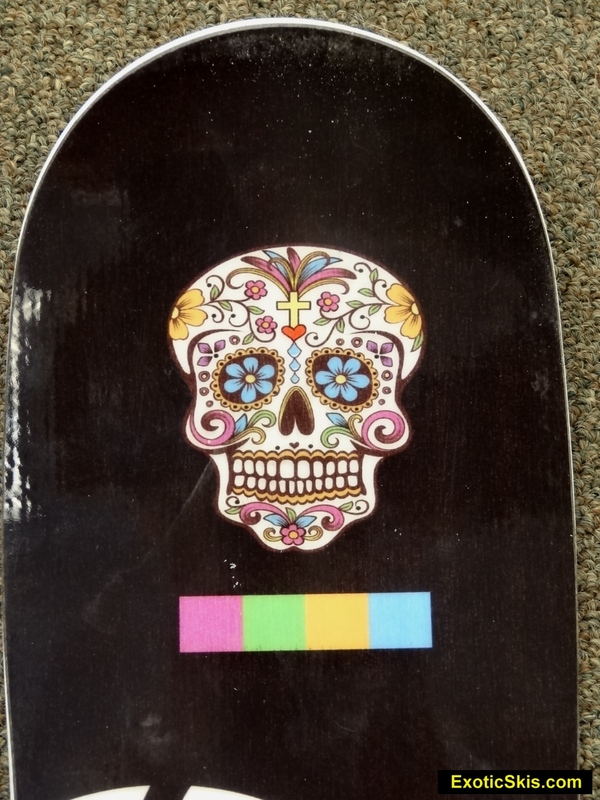 Wide enough to float through pow and crud, with side cut to carve up the groomers, and they can be made with early rise. 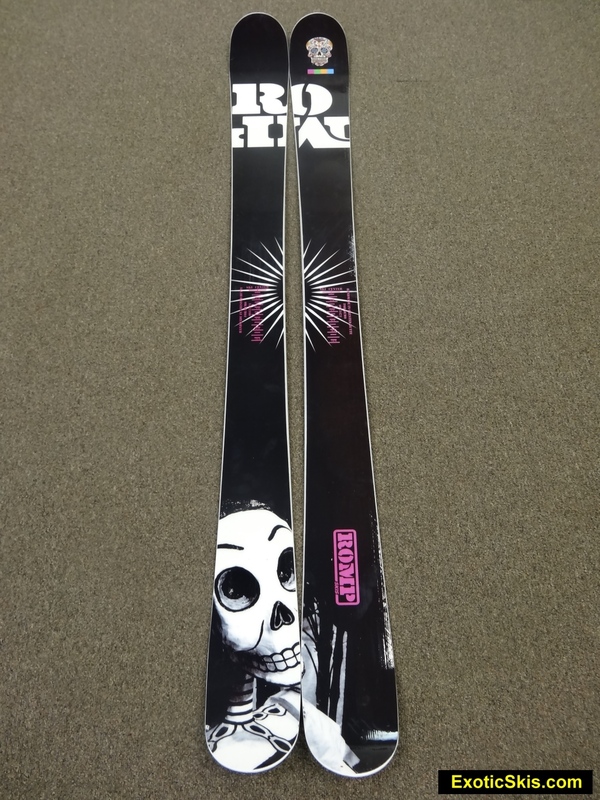 Kids skis cost $300 or $200 with the purchase of any adult size pair, so the whole family can Romp." The ROMP 140 "Kid" is a very high quality, floaty, turny, springy twintip with a loose and easy feel for kids, yet holds a very respectable carve on harder surfaces once kids get it up on edge and pressure it through the turn. Superb at bouncing through powdery bumps and cut-up terrain, the ROMP Kid 140 has excellent spring and bump-response, making it very playful and ful of fun. While not a piste-oriented carver, the Kid 140 works really well on groomers, being secure underfoot, but maintaining a loose, semi-rockered feel. Kids getting off skinny twin tips or kid carving skis will find these skis somewhat loose (but not drifty), but really easy to bound through the soft stuff and filled with bounce and zip in the bumps. 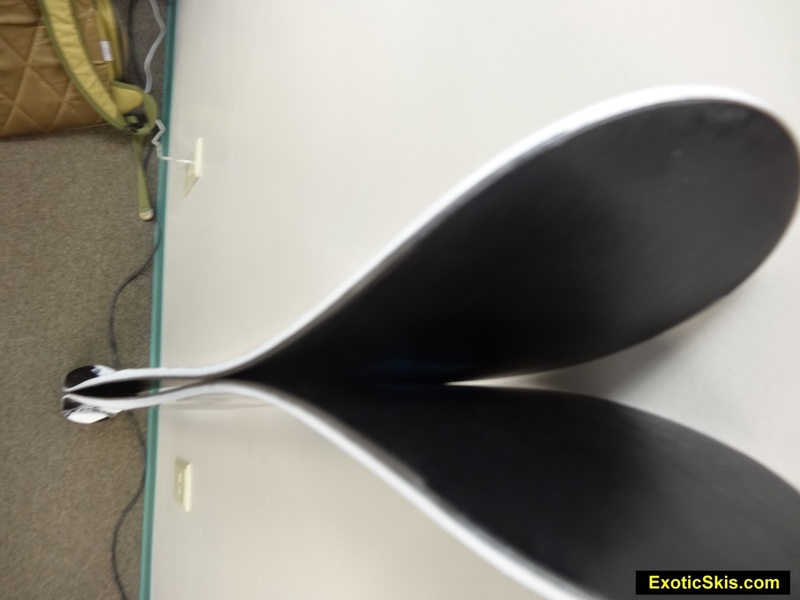 Big shovel and tail prevent provide more float than crud-cutting personality. The wide variety of graphic topsheet options (56+ !) plus the custom graphics option really gets kids excited. Poplar, vertically-laminated core, triax fiberglass, Durasurf bases, Nearly full-wrap edges. Tyrolia SP100 demo bindings, Mounted on-the-mark. Great fit and finish, with great graphic depth and clarity. Good base and edge finish right out of the box. 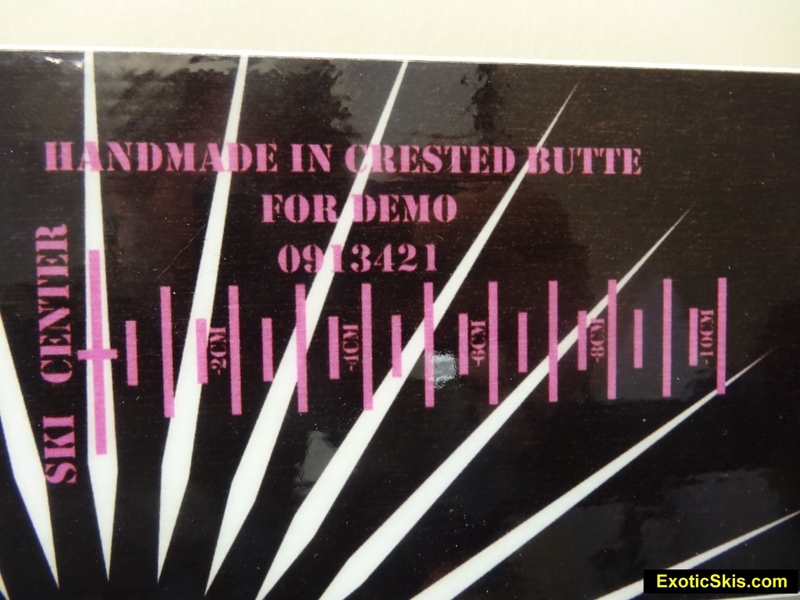 Relatively soft, even flex throughout the body of the ski, with moderate torsional strength. Feels "balanced" with moderate dampening. Testing a junior ski is difficult for adult reviewers is difficult since we have to judge the ski's behavior by observing the way kids ski it in the given terrain and snow conditions. Even if adults can fit into the bindings to try the junior ski, the weight, leverage, muscle and skill of the pilot is completely out of the design range for a ski only 143cm long. We can get a feel for it, for sure, but the proof of the pudding is in how the kids react to the ski, and how the ski reacts to the kids. Since I am writing the review, people should know I coached 6-12 year-old racers for about 9 years, so I have some experience observing the behavior of kids on skis, and the behavior of skis under kids (there's an important difference). Coaching over those years included not only race training, but freesking in powder, crud, trees, bumps, groomers...you name it, so I hope I can convey what we saw in this ski with some clarity so you can judge the personality of the ROMP Kid 140 from the descriptions. The ROMP Kid 140 is not a carving ski, but intended as a junior twintip with maximum agility and flexibility for varied terrain and surface conditions. It can feel loose for kids until they roll it up on its 95mm and set the edge along the sidecut, then it sets into most surfaces really well, using the wide shovel and tail to round-out the turn to the next changeover. 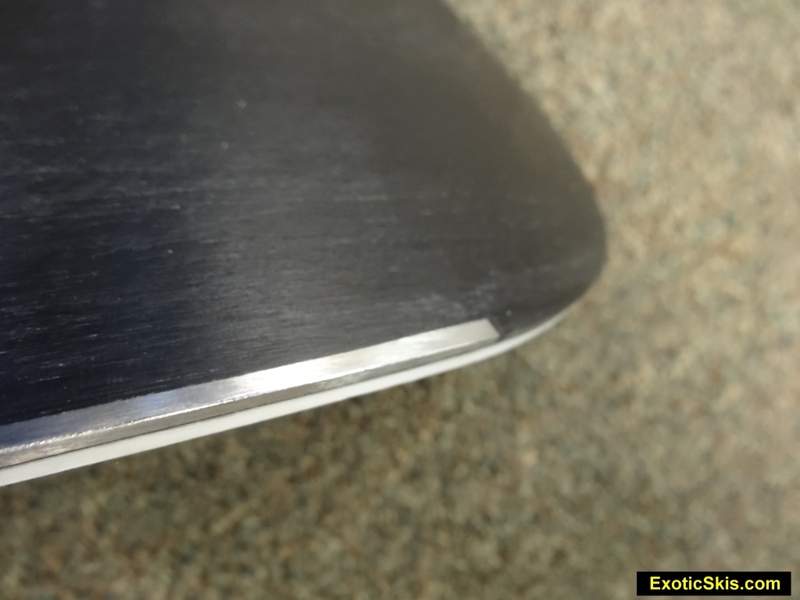 Because it is a relatively low-mass ski (thin profile...we used a 7mm drill bit depth for mounting), it can become unseated from a carve at higher speeds on real boilerplate like nearly any lightweight junior ski. Overall, it is predictable and consistent for nearly all typical kids on a 140cm ski on hardpack surfaces. Mixed conditions are where the ROMP Did 140 comes alive as a spunky, springy twintip where kids and "point-and-go" through pretty much anything without any problems. The large shovel can produce a little deflection in heavier crud or windpack, but the floating characteristics of the forebody of this little ski means the pilot is always up-on-top, and never fighting a tip-dive or unwanted submarine effect in soft snow. While some kid skis can lead to a nose-dive when conditions get deep, the ROMP Kid 140 always holds its head up, letting the junior skier keep the skis "up and active", giving them notable confidence in mashed-up surface conditions. We watched several kis navigating fresh and day-old cut up powder an crud with the ROMP 140s, and they essentially kept their eyes up ahead of themselves, never having hte ski disappear below the surface, which often causes kids to look down at their skis and cause all kinds of issues with their ride down the hill. "Wow" has a common word that came to mind watching both experienced and less-experienced kids ride the ROMPs in mixed conditions. I wish I had skis like this as a little kid. Bumps were handled easily since the ROMP Kid 140 is soft and compliant, never fighing the junior pilot or throwing them backwards or forwards. The large shovels can produce a quick turning forebody, but the torsional compliance means the action is controlled and predictable, never throwing the ski in a new direction, but instead turning the ski gently into a new direction, which can be corrected quickly if the skier objects. Too often we see a stiff kid ski with a deflection problem in the bumps which results in a kid fighting for directional integrity. The ROMP Kid 140 never fights the kid....always taking directions from the little pilot right-on-cue. 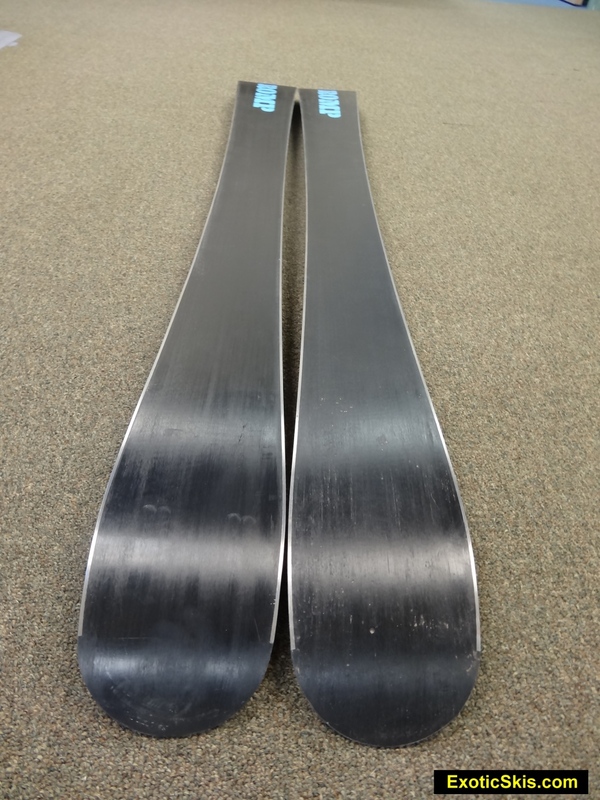 "Responsive" and "Agile" are the two words to best describe the bump behavior of these skis. Part of this "Responsive" description has to be the lively zing and pop of the rebound kids find when they load the ski into a good flex in a bump and then let it unload. Plenty of bouncy airtime antics are built into this ski, and kids just love that. It was fun to watch. We only got to try the ROMP 140s in powder up to shin deep for kids (lack of fresh snow in December and January in Vermont), but it was easy and effortless for kis to navigate the three-dimensional surfaces at slow or fast speeds. We had some kids who had never really skied shin-deep powder get on the ROMPs and take right off, surfing their way through the trails and trees without thinking about it. That's cool. Being a fat-shoveled twintip, the ROMPs can change direction quickly in powder, rather than knifing through it like a shark-nosed skis, and they can rise quickly in the snow, but kids seem lo love that feeling, being more "fun and exciting" than "boring and business-like." If your kids would like a turny, floaty twinwip in powder, this is a great design. "I can pop off the bumps"
This is a really fun and effective twintip for lightweight skiers who want more agiility and floating behavior than crud-cutting, line-holding behavior. Easy handling and full of pop and fun. If your kid likes mischievious antics...this could be the ski. Watch your kid's ski style and see if they prefer an all-mountain freeride ski rather than a more specialized off-piste only or directional carving or park & pipe ski. This design is for all-over the mountain, not just singular conditions.